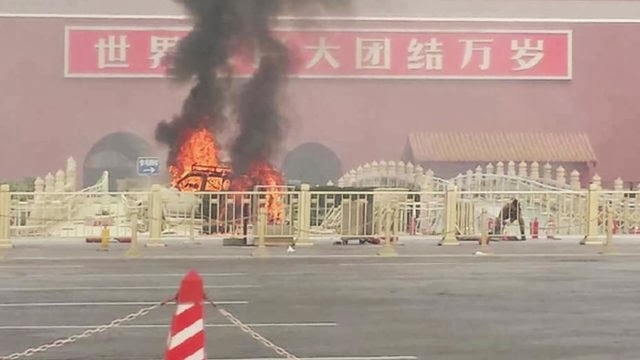 Chinese police have identified Monday's deadly crash at downtown Beijing's Tiananman Square as a terrorist attack and five suspects have been detained. Police found gasoline, equipment full of gasoline, two knives and steel sticks as well as a flag with extremist religious content in the jeep. Police have also found knives and at least one "jihad" flag in the temporary residence of the five detained suspects. 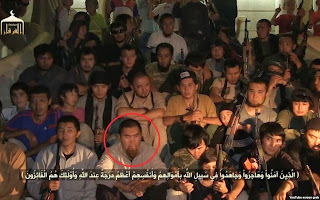 According to the spokesman, they admitted that they knew Usmen Hasan and conspired to plan and carry out the attack. They said they had not expected that the police could capture them only about 10 hours after the incident. A fatal vehicle crash in Beijing's Tian'anmen Square was planned by a Uyghur separatist group, designated as a terrorist organization by the US and UN, said China's top security official, Meng Jianzhu. Meng Jianzhu, chief of the Commission for Political and Legal Affairs of the Communist Party of China Central Committee, blamed the incident on the "East Turkistan" forces. "The ETIM has incited, organized and committed terrorist attacks of various forms in China over the years and spread the ideas of violence and terrorism. It has been the most direct and real threat to our security, and has damaged the security of other countries and regions," said Foreign Ministry spokeswoman Hua Chunying at a routine press briefing. However, the ETIM is not working on its own behalf and it is important to note the real players behind the East Turkestan project. Chinese state media demanded severe punishment on Thursday to put down what China has said is a holy war aimed at Beijing by Islamist militants from the restive Xinjiang region. Security has been strengthened in both Beijing and in Xinjiang in the far west after an SUV ploughed through bystanders in the capital's iconic Tiananmen Square on Monday and burst into flames. 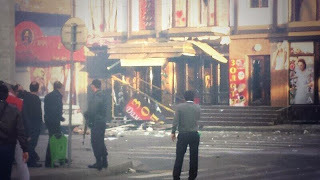 Al-Qaeda in Xinjiang Autonomous Region? For some time now, the authors of Inspire Magazine have been encouraging readers to carry out vehicle-borne attacks. 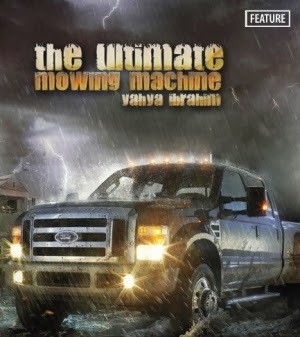 For example, the second edition of the magazine encourages prospective terrorists to turn a pickup truck into a human lawn mower by placing large steel blades on the vehicles. The authenticity of Inspire is not beyond dispute. Since Anwar al-Awlaki, Washington's favorite al-Qaeda recruiter and spokesman, was one of the main individuals involved with the magazine, it is reasonable to question the driving force behind al-Qaeda's PR campaign. Rebiya Kadeer, president of the Munich-based World Uighur Congress, called the attack tragic but was equivocal on whether Uighurs - a Muslim people from China's far western region of Xinjiang - had carried it out. Kadeer, who lives in the Washington area, warned against accepting at face value China's account of the incident. Of course no media outlet cares to mention Kadeer's interesting background and the significant fact that the WUC is funded by the United States government, as thoroughly discussed in a previous round-up. The reforms should eventually cripple the large and inefficient state-owned enterprises (SOEs) that pollute and distort the market, and instead provide fairer conditions for the private enterprises that have been driving national development for decades, but are officially only Cinderellas at the court of the Chinese state. This step is crucial to ensure that China's growth continues to be rapid in the coming decades and doesn't get bogged down around 2020, when a Soviet-style meltdown of the economy could otherwise become inevitable. However, the reforms are already creating legions of enemies for Xi. Many state officials, large and small, rightly fear in a reduction in their power and their sinecures. A total of 1,721 kilometers of Western Europe - Western China highway will be opened to traffic by the end of this year, Minister of Transport and Communications of Kazakhstan Askar Zhumagaliyev told a briefing in the Central Communications Service. The construction of the highway of international significance began in 2009. The total length of the international transit corridor is 8,445 km. The length of the road via the territory of Kazakhstan is 2,787 km, of which 2,452 km are subject to reconstruction. Kazakhstan plays a central role in China's New Silk Road. The Central Asian country offers not only an important transit route but also much-needed energy. KazMunaiGas (KMG), Kazakhstan's national oil and gas company, has just completed the purchase of ConocoPhillips' 8,4 percent share in the giant Kashagan oil field. This share will subsequently be resold by KMG to state-owned China National Petroleum Corporation (CNPC) and Kazakh oil will flow to China. 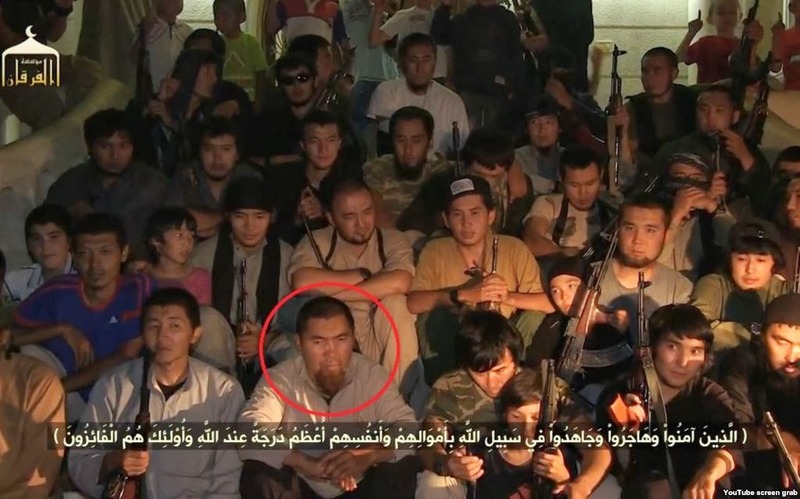 Family members have identified two men who appear in a video of purported Kazakh jihadists preparing to wage war Syria, and are asking authorities to help bring them home. In a written response to questions from RFE/RL, the National Security Committee said it was "aware that some Kazakh citizens are fighting abroad" and that efforts are under way to return them to Kazakhstan. Two men suspected of terrorist activity in Syria are in Kazakhstani custody, Tengri News reported October 28, citing the Kazakhstani National Security Committee (KNB) press office. All the unregistered religious unions are going to be liquidated in Kazakhstan by the end of this year, Tengrinews reports citing Vice-Chairman of Kazakhstan's Religious Agency Marat Azilkhanov. He reminded that the re-registration slashed the number of religious unions in Kazakhstan by 32 percent and down to 3088 as of October last year. The president of the restive southern Russian republic of Dagestan called on local parents who have children studying at Islamic schools in the countries "troubled by terrorism" to bring them back home. Police in Russia’s turbulent republic of Dagestan have found a large bomb-making workshop apparently run by gunmen, the Interior Ministry said on Saturday. Officers later uncovered a workshop with 13 suicide belts and two women’s wigs, which were used by the gunmen for “clandestine movement” while preparing for the terrorist attacks. 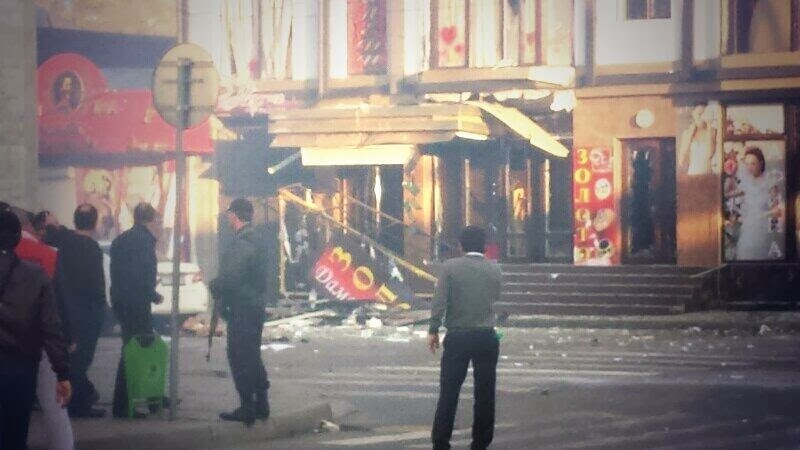 Two people has been killed, and at least 15 more have been hospitalized after a double explosion hit Makhachkala, the capital of Russia’s restive Dagestan region, according to the country's Emergencies Ministry. The attack occurred outside two adjacent liquor stores on one of the city's liveliest streets. It appears to have been set off by remotely-activated charges, and fire appears to have spread to neighboring stores. Romania Oct. 28 started building a military base, which will host a U.S. ballistic missile defense system as part of the NATO system. Russian Strategic Missile Forces (RVSN) would be fully equipped with fifth-generation missile systems by 2021, the Defense Ministry said Wednesday. According to the spokesman, the modernization was aimed at building the capacity to penetrate the anti-missile defense systems being deployed by NATO and the United States. Following quickly on the announcement of the U.S.'s departure from its air base in Kyrgyzstan, Russia has promised that it will double the number of aircraft at its base in the country, Kant. Over the weekend, during tenth-anniversary celebrations the Kant base, a senior Russian air force official said that the number of aircraft at Kant would "at least double" by December, and that the number of personnel would increase as well.